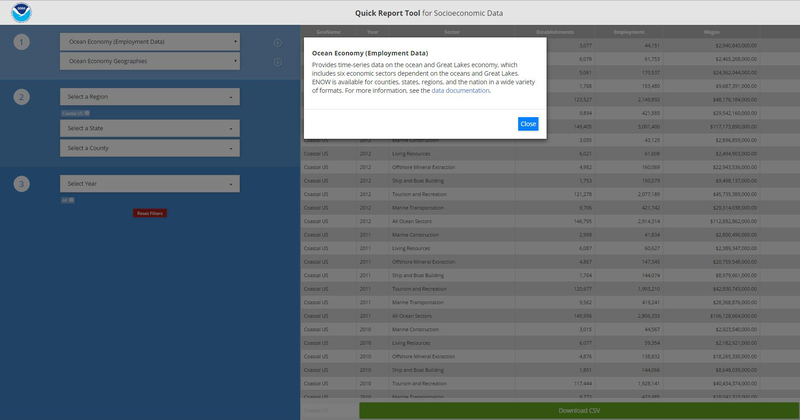 This online tool provides easy access to economic and demographic data for multiple coastal jurisdictions. After selecting the information, geography, and time period of interest, users can download data. Information is derived from several key socioeconomic sources, including the U.S. Census Bureau, Bureau of Economic Analysis, Bureau of Labor Statistics, and Federal Emergency Management Agency’s Hazus database. 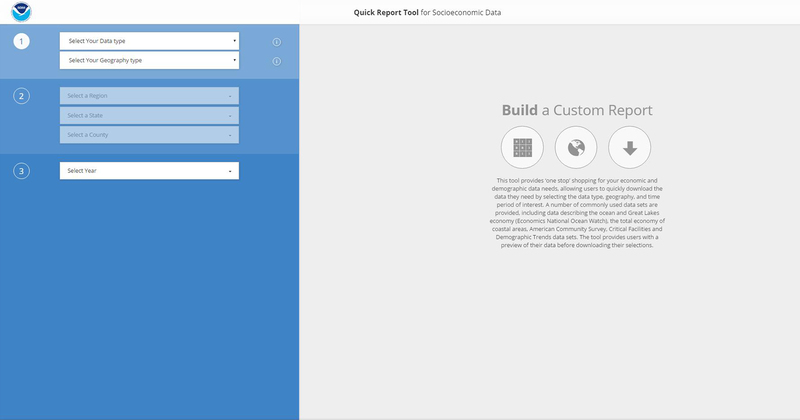 The data used in the Quick Report Tool are drawn from many sources and are produced by several federal agencies, which limit their compatibility with one another. Available jurisdictional boundaries are dependent on the data set selected. To launch, please visit https://coast.noaa.gov/quickreport/#/index.html.